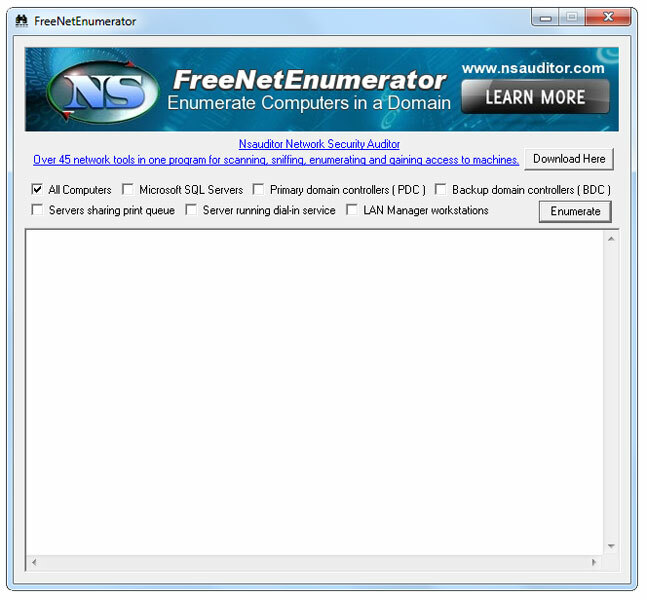 FreeNetEnumerator is a tool to enumerate computers in a domain. Depending on enumeration parameters the tool can work in different ways. It can enumerate all computers ( if All Computers is selected ), all SQL servers only (if Microsoft SQL Servers is selected ), all primary domain controllers only ( if Primary domain controllers is selected ) , backup domain controllers only ( if Backup domain controllers is selected) , primary domains only ( if Primary domains is selected ),etc.